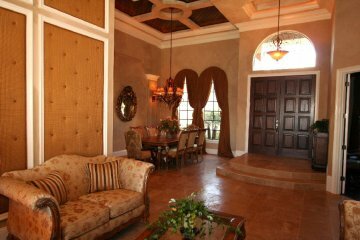 Lakefront Estate, built 2005, fully furnished & decorated. 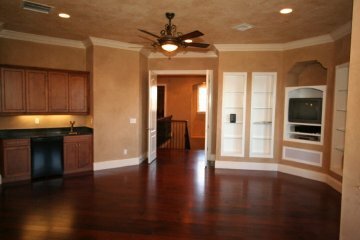 5 Bedrooms, 5-Full Baths and 2-Half Baths. Kitchen w/Center Island Cooking Range. 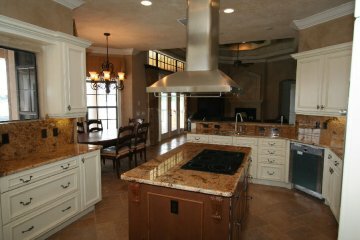 Granite Counters, Stainless Steel Oven & Microwave. Butler Pantry. 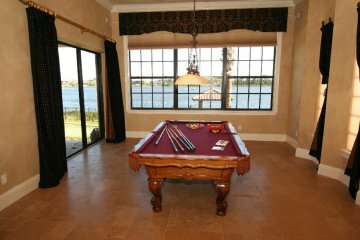 Game Room w/wet bar & wine refrigerator, pool table & double-sided fireplace over looks pool & lake. 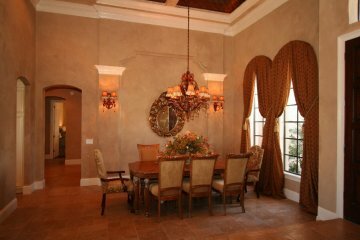 Living Rm. 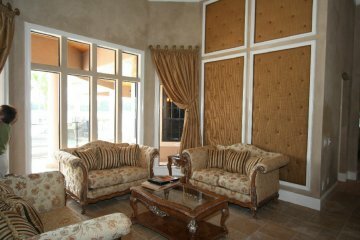 has Crown Molding, Padded Wall Treatments, Mood Lighting and view of lake & Pool. 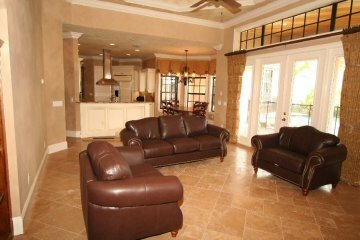 Family Rm has Plasma TV, fireplace & view of kitchen, lake and pool. There are built-in shelves, a Plasma TV & Wood Floor in the Office. Master. Bedrm. 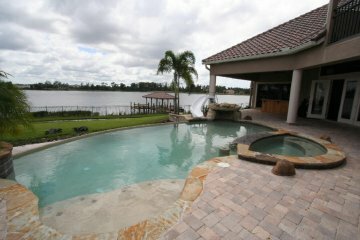 W/sitting area overlooks pool & lake. Mst. Bath has double sink granite top vanity, a Plasma TV, & Jetted tub & Shower. Pool bath has steam shower. 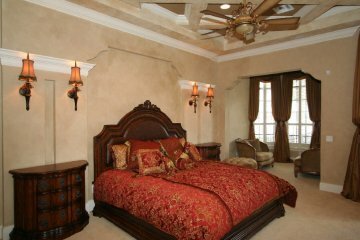 Bedrooms 2&3 are suites located on the first floor. 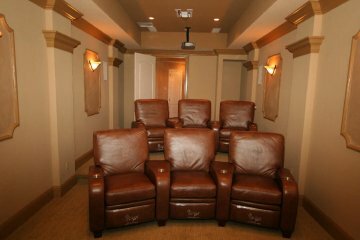 The Second floor contains: Bedrooms 3 & 4 w/ a Jack & Jill Bath, Home Theater with State-of-the-Art Equipment, and a Bonus/Exercise Rm. 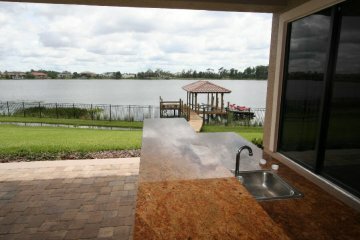 w/wet bar and balcony overlooking Lake, & Pool. The terrace includes a heated Spa & Infinity Pool with Sitting Stools, Waterfall, Slide & a Summer Kitchen w/Granite top serving bar, surround sound & refrigerator. A Boat Dock & Hoist are on a ski lake. The 3-car garage has a side entry. $2,300,000.